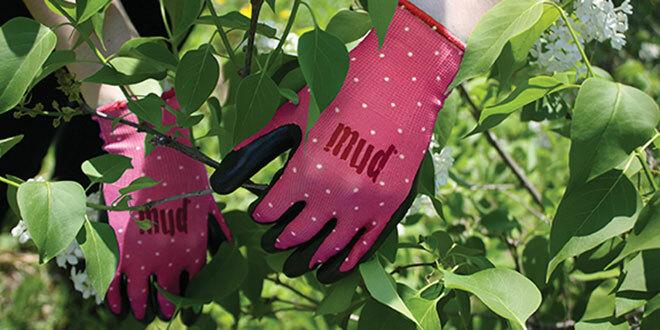 Mud® gloves are made with a nitrile coating on the fingers and palm for gripping while gardening, planting, weeding or handling tools. The lightweight and form-fitting design increases tactility and reduces fatigue. The gloves are machine-washable.